Claremont, Calif. (April 6, 2017)—On behalf of the Presidents of Claremont McKenna, Pitzer, and Scripps Colleges, we are pleased to announce the appointment of Dr. Ulysses J. (UJ) Sofia as the new dean of the W.M. Keck Science Department. His appointment will begin July 1, 2017, and he will hold the title of Weinberg Family Dean of the Keck Science Department. Dr. Sofia, identified through a national search from a very talented and deep pool of applicants, will serve as the second dean of the Keck Science Department. We thank the search committee, chaired by Scripps Dean of the Faculty Amy Marcus-Newhall, and comprised of Anie Chaderjian (Scripps), Mary Evans (CMC), Brian Keeley (Pitzer), Adam Landsberg, Marion Preest, Branwen Williams, Nancy Williams (Keck Science), and Nicole Weekes (Pomona), for their excellent work. 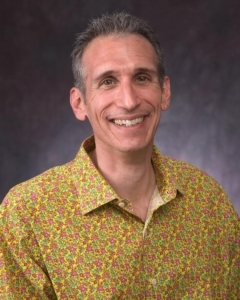 Dr. Sofia began his academic career at Whitman College in 1998 and received the inaugural William and Diana Deshler Endowed Chair before departing to become chair and professor of physics at American University in 2009. Dr. Sofia’s experiences as a teacher, researcher and administrator make him especially well-qualified for this role. Throughout his academic career, he has focused his teaching in physics, astronomy and astrophysics. He was awarded the A.E. Lange Award for Distinguished Science Teaching at Whitman College in 2003. His research focuses on solar activity predictions, interstellar dust and the interstellar medium. Dr. Sofia has received many external grants and published important work. Finally, his successful experience in roles of academic leadership is extensive and aligns well with the needs and opportunities in Keck Science. Currently, he is the associate dean for research at American University. Dr. Sofia also has held positions as the director of NASA District of Columbia Space Grant, consultant to NASA Flight Dynamics Division and associate director of Goddard Planetary Heliophysics Institute. He has been a strong advocate for faculty pedagogy and scholarship and building collaborative vision for academic programming. He was instrumental in building (from start to finish) a new science building, and comes with rich experience in working with multiple stakeholders, securing funding and building external partnerships. Dr. Sofia received his BA from Wesleyan University in astronomy with high honors and his PhD in astronomy with a concentration in physics from the University of Wisconsin-Madison. We are very excited to welcome Dr. Sofia to our community and look forward to working with him and the entire Keck community to realize our aspirations for the future.